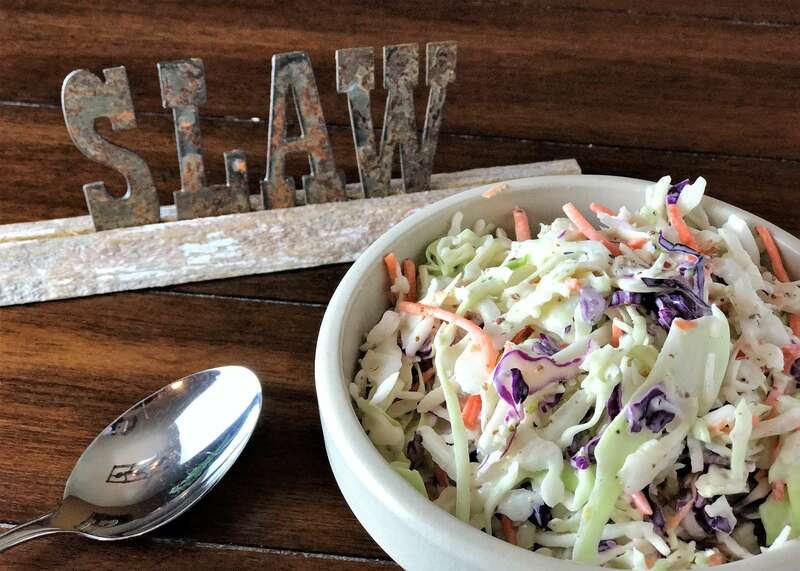 I am a firm believer that coleslaw is BBQ’s best friend. 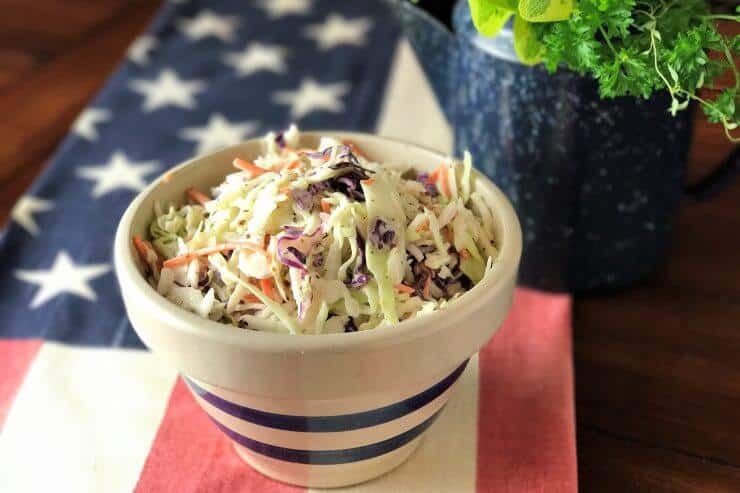 No offense to baked beans, but coleslaw is that fresh, healthy(ish), light accompaniment that turns a hot dog, burger, or pulled-pork sandwich into a deliciously sloppy meal and gives leftovers new life. Have you ever checked out the nutritional information for cabbage? Low calories (20), no fat, and a great source of Vitamins C & K … yes, I realize we are going to dress it but even that can be done in moderation. 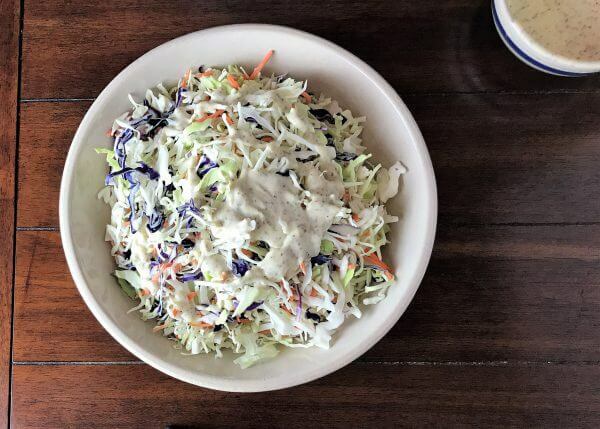 Over the past 4-5 years, I have been experimenting with a basic coleslaw recipe. Everyone has their preferences, but this is my family’s favorite. 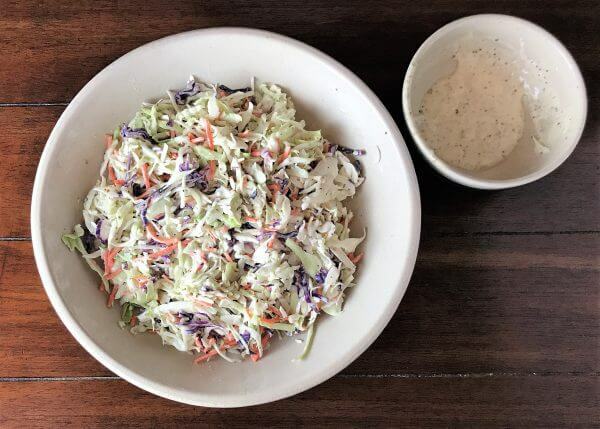 I have made it for many guests and gatherings and I almost always get the question: “What coleslaw dressing do you use?” I tell them I make my own and, inevitably, they look disappointed … until I list the ingredients. I’m not sure why we think flavor has to be complicated. It doesn’t get much more simple than this. Combine all ingredients except coleslaw mix in a small bowl. Stir dressing ingredients together until sugar dissolves. Add a little more of any ingredient to get the balance you like. 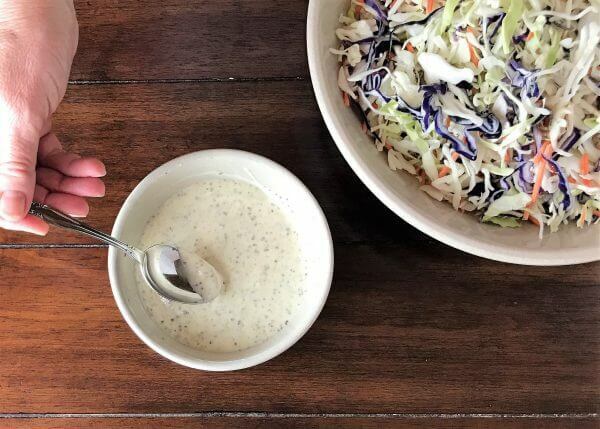 Pour coleslaw mix into a large bowl and pour half of the dressing over it. Gently fold it into coleslaw mix until evenly distributed. 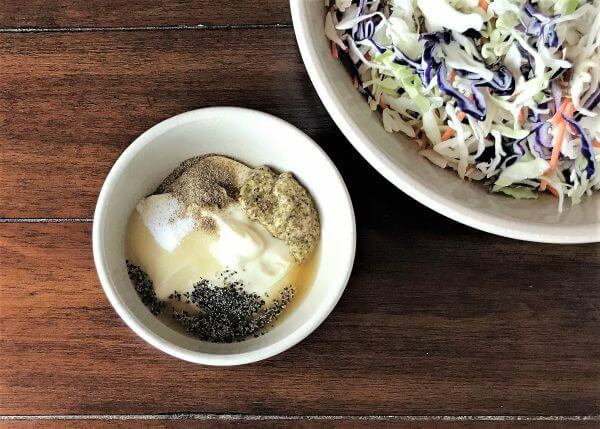 Keep adding a tablespoon or two of dressing, folding between each addition just until the cabbage is lightly coated (see notes below). Allow coleslaw to rest at least 30 minutes before serving. Do not overdress. Why? Because as the coleslaw sits, the salt will break down the cabbage, which will create extra liquid. If you overdress it from the start it will be soupy and lose it’s crunch. You can always add more dressing when you are ready to eat. Do not throw away leftover dressing. Why? Because it is an awesome spread for ham, turkey, or pulled pork sandwiches and wraps! Of course you can use fresh cabbage and carrots. One bag of coleslaw mix is about 6-8 cups of fresh shredded cabbage and carrots. 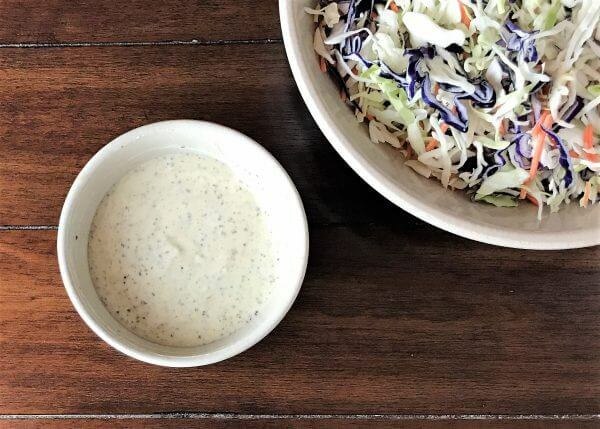 Use a mixture of shredded cabbages, raddichio, kohlrabi, radish, kale … the mustard/vinegar combination of this dressing works well with all of those. You can add fruit (mandarin oranges, apples and grapes all work well). Look on the back of the coleslaw mix bags or Dole’s website for more salad recipes and inspiration. 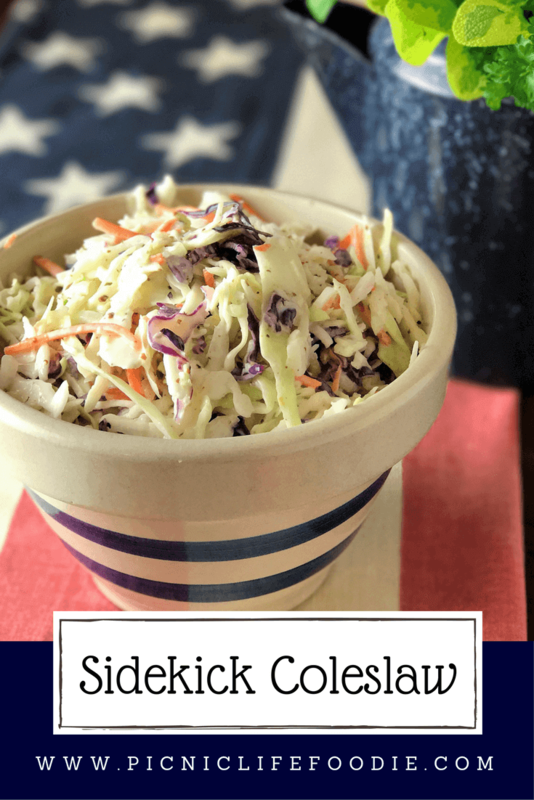 Why do I call it “Sidekick Coleslaw”? A sidekick is a close friend or associate and given how many main dishes can benefit from this easy-going salad, that seems appropriate. Also the stone-ground mustard provides the “kick” most coleslaws are lacking. To me, BBQ without coleslaw is like Butch Cassidy without The Sundance Kid; Charlie Brown without Snoopy; Calvin without Hobbes; cake without frosting … the world just wouldn’t make sense. 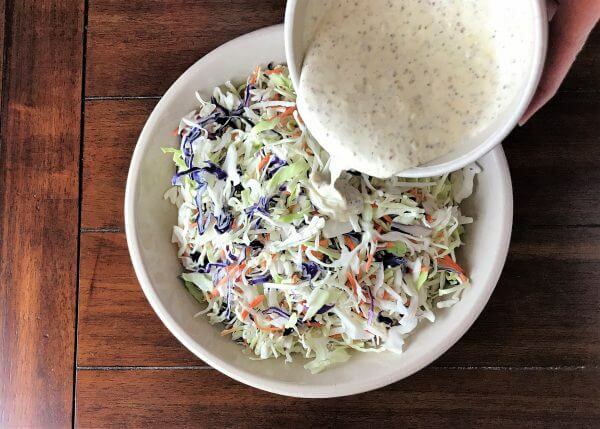 Simple, fresh, crunchy, tangy and healthy(ish) … this coleslaw is the perfect sidekick to all your grilled (and non-grilled) dinners!